Apple enjoys a unique status in the digital sector. It largely remains a forerunner in the “smart” world. From iPhone, iPads to MacBook, everything coming out of Apple store has a value of its own. Habitual MacBook users know the hazards and advantages of using it. Others often compare the workability of MacBookwith other companies and laptops etc. 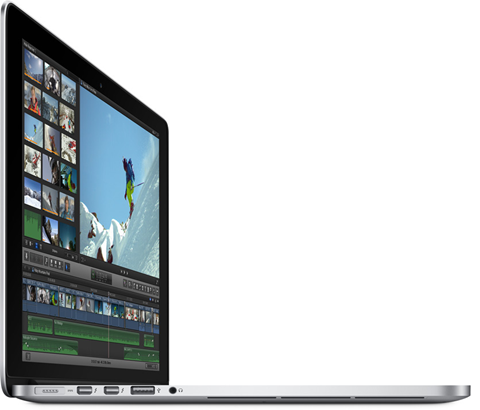 But here we offer a complete analysis of the pros and cons of MacBook Pro vs MacBook Air. These MacBook can be shopped through online marketplaces such as Kaymu. But before you make you mind to buy either of them, you should know what features they offer. MacBook Pro goes with the slogan: more power behind every pixel. So, basically the battery life with a powerful and amazing display is what this MacBook has to offer. According to the Apple store, its stunning retina display is millions of pixels ahead of its time. These millions of pixels stands for extraordinary video quality. Everybody is obsessed with having a good video quality. Well, this could be your deal if you’re into camera editing stuff too. The Fine and Slick Touch Trackpad is yet another milestone that this MacBook has achieved. There are extra censors underneath the touch that enable to perform multiple tasks by merely varying the pressure of your fingers. Their claim is that this trackpad will add a whole new dimension to your life. Advanced dual-core and quad-core processors provide an enormous amount of computational power. And powerful GPU technology along with the high-resolution Retina display allow you to visualize your data like never before. MacBook Air is known to be a thunderbolt with additional battery life. The slogan behind this MacBook reads like this: it won’t call it a day until you do. 12 hours a day battery life is not only extraordinary but truly mind-boggling. Many people find it hard to stay close to electricity connection and keep their laptops on charging all the time. Therefore, if you find it irritating then this for sure is your deal. Slimness is of course the hallmark of any MacBook. But so far has come across the users is that this fifth-generation Intel Core i5 and i7 processors with Intel HD Graphics is more than up to the mark when it comes to thinness. Not only are they thin but stunningly powerful as well. Following are the apps that come with every mac: iPhoto, iMovie, GarageBand, Pages, Numbers, and Keynote. So, you can be innovative and efficient right from the beginning. To be fair, each version of either MacBook pro or MacBook air comes with either some advanced feature or adds to the previous ones. It totally depends on the nature of your work that can determine what sort of MacBook you’re looking for. But you can always hunt these things on online stores and marketplaces.